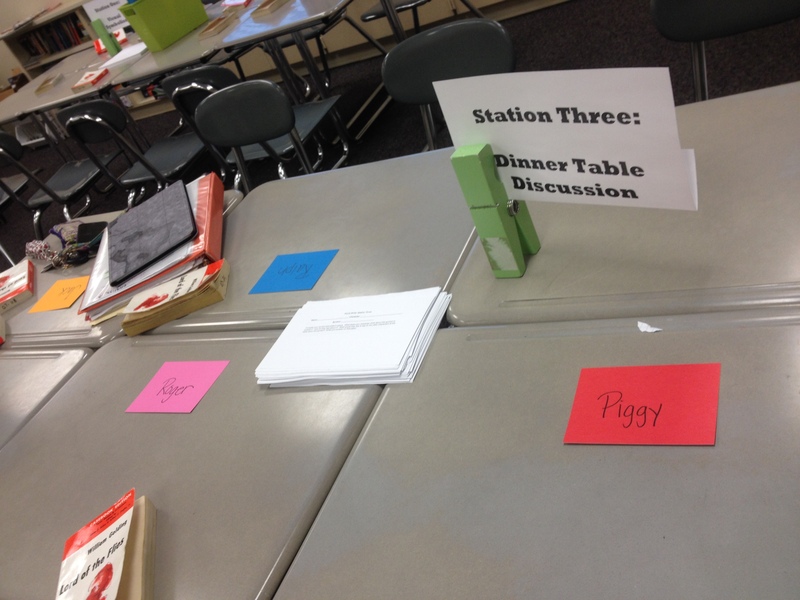 This was the “Dinner Table Discussion” station where students were asked to inhabit a character in writing and in discussion in order to explore a specific symbol in Lord of the Flies. 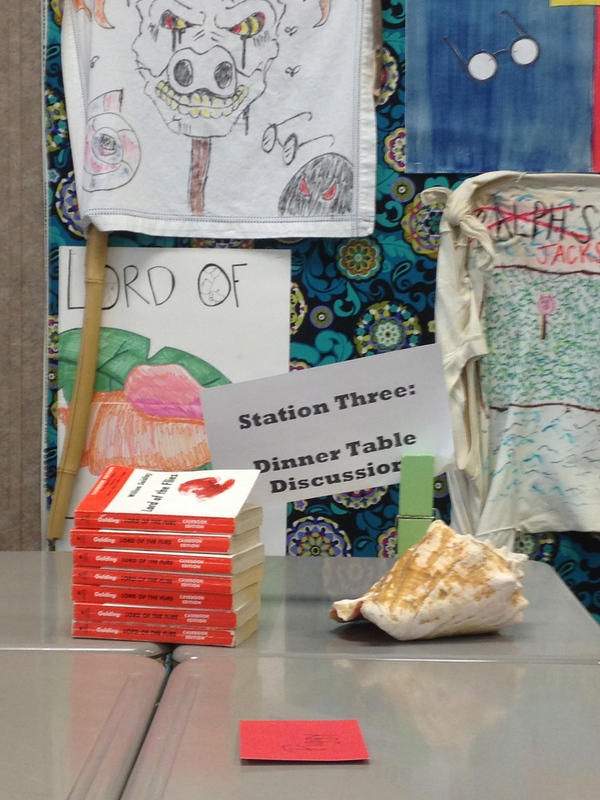 Write a one-page literary analysis where you explore what a symbol in Lord of the Flies represents within our society. 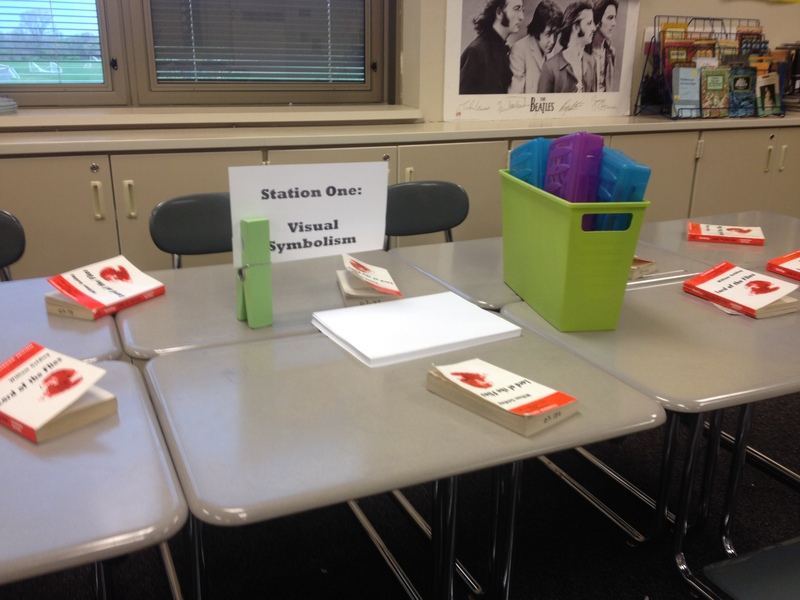 Include text evidence to support your perspective. Consider your symbol and what it means. What does your character think about the symbol in question? How do they feel about it? What would they like to say to the other characters at the table about this symbol? How do you feel about _____________ (symbol)? What should we do about _____________ (symbol)? What questions do you have about _____________ (symbol)? What concerns do you have about _____________ (symbol)? Pass your paper to the person to your right. On the quote paper you have just received, make a personal, societal or text connection and comment/build on what someone else has written. Continue passing papers to the right until everyone has his or her original paper. Begin by independently answering the questions on the large sheets of paper (try to have two people or less per sheet. After you have answered the question yourself, read what others have written and comment on those points. Consider your symbol. What is William Golding trying to say about our society through this symbol? 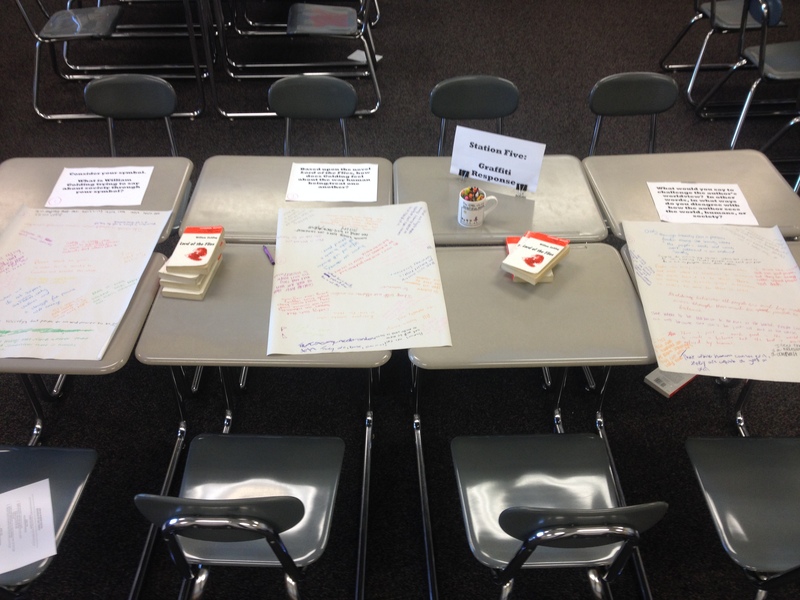 Based upon Lord of the Flies, how does Golding feel about how human beings behave toward one another? What would you say to challenge the author on in his worldview? In other words, in what ways do you think you disagree with how Golding sees the world and society? Originally, we were going to rotate every five minutes, but after the first session, we changed each station to ten minutes. At the end of ten minutes, the dramatic and visual interpretation groups shared and explained. 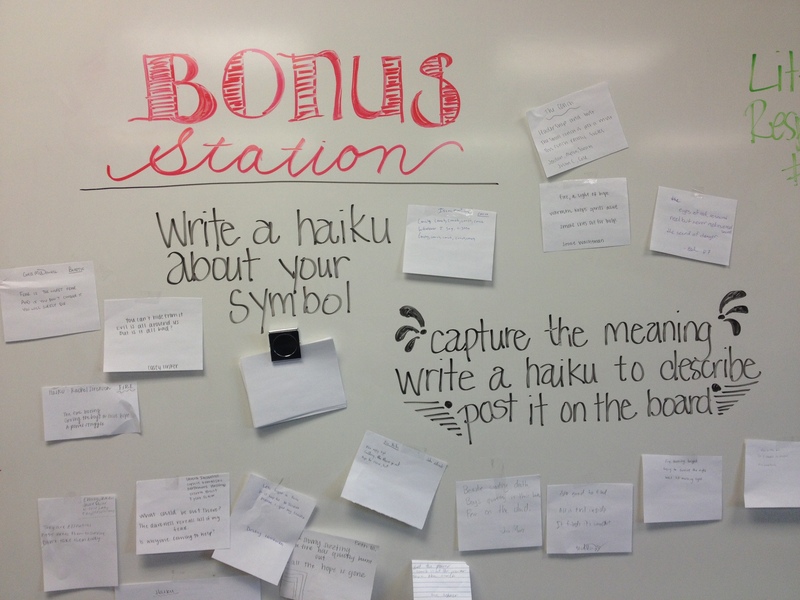 At the last minute, we also added a “Bonus” Haiku station for students who finished early. What could be out there? The darkness reveals all of my fears. Is anyone coming to help?